Alrighty then…last week, I mentioned that I wanted to write about a little weekend junket, but the #$%@#$^ TPP got me sidetracked. 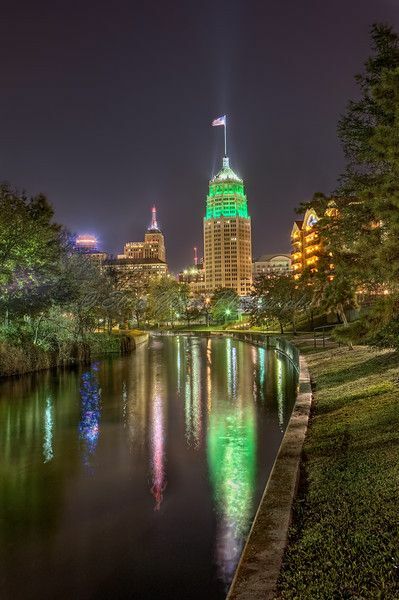 My dander was up, and I hate to waste a good, upright dander, but let’s get back to the matter at hand: San Antonio, Texas is a great city to visit. In fact, it’s probably the best city in Texas to visit (sorry Austin). Let me dial that back a little: San Antonio has the best downtown for visitors of all of Texas’ large cities. In fact, it has one of the best downtowns I’ve ever visited. It’s an inviting place, it’s walkable, the public transit is useful, and, well, let’s not beat around the bush: there’s the riverwalk. If you’re not familiar with San Antonio’s riverwalk, let me bring you up to speed. The San Antonio river used to flood from time to time, wiping out huge swathes of the downtown area. Somehow, during the depression, San Antonio got the funds to build a flood control system below street level running through downtown. This little bit of floodproofing proved one of the more genius bits of urban engineering in this country. Not only has it proven an effective barrier against floods, it’s also given San Antonio a rivierside walkway running through downtown one floor below street level. This is a Very Big Deal as Texas can get warm in the summer. The entire areas is lined with shops, hotels, restaurants, bars, and a mall, and people use the daylights out of it. It’s fun, safe, comfortable, and unique. It makes me wonder why other cities in hot areas didn’t try the same thing. Another point in San Antonio’s favor is that it missed the 1980’s downtown building boom. This means that all of the wonderful 1930’s WPA buildings are still not only standing but also in use. It’s a gorgeous downtown full of strange angles, gargoyles, grotesques, and beautiful art deco foyers. Most other cities razed their older buildings and dropped perfectly symmetrical skyscrapers in their place. Nothing against the Alamo, but the Tower Life building is way more interesting to look at. Of course, nothing good in this country is immune to the incursion of hip, young gentrifiers and San Antonio is no exception. This probably frustrates the locals who want to live near downtown, but it’s great for visitors who want walk from downtown to the South Town district and get some seriously good Beligan food. So, next time we decide to venture to the South, San Antonio’s on the list for a return visit. I have no clue how it is to live there (the sprawl seemed to be seriously out of control), but it’s a great burg to visit. Posted in Personal, Travel.Tagged architecture, great cities, riverwalk, san antonio, urban planning, wpa. Next Post Who Nuts The Nutters?